I was in New York City for a couple of days recently, and had a tiny window of time between meetings. Naturally, I went to Barney's. Life at the beach can definitely bring on a case of retail deprivation. I skipped up the escalators and swung onto the fourth floor, and was stopped in my tracks by a stunning display of dolls. They were created by a magician named Andrew Lang, and are called the Kouklitas. 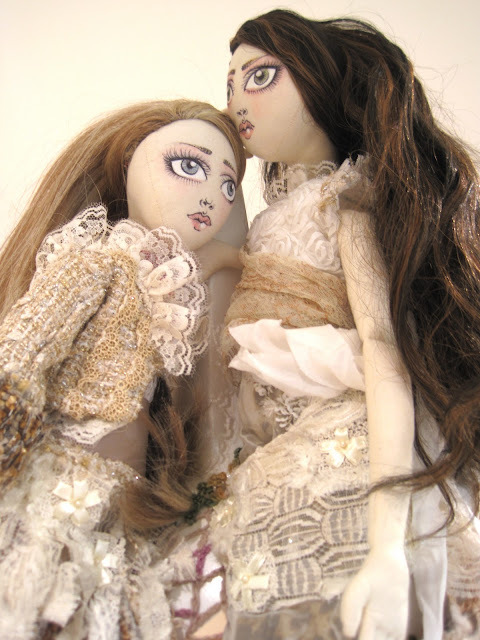 Koukla is the lovely Greek word for doll, and these fashion dolls are about 27 inches high, made of muslin, with hand-painted faces; they are, of course, wearing couture. I can't exactly tell you why I found these dolls so charming, but I think it has something to do with my vivid memories of playing with dolls as a little girl. I called it "playing house" and it was far and away my favorite thing to do--well, that, and reading books. My idea of a perfect afternoon was one spent under a table, with a cloth hanging down to the floor around me, a book in my lap, and a doll nearby, quietly taking her nap or needing to be fed and changed. Every once in a while I let my sisters bring their dolls over for a visit too. My sons never played house, no matter how much I encouraged them. I still love dolls. I haven't (yet?) become the kind of grown women who actually buys dolls, and dresses them, and props them up around her bedroom. However, a certain someone and I once adopted a stuffed animal, Ottmar, who had been abducted to a foreign country and, when we found him, was in need of a more nurturing home. Luckily, I got custody. But these rag dolls are something else. They are made for grown girls. One doll costs as much as a Marc Jacobs dress (or maybe less, I've stopped looking at price tags due to the Money Diet.) But how amazing and wonderful that there are people in the world who can create such ethereal, loopy creatures. I had a very dear friend who made dolls as an artist and before she passed away she gave me some and I bought some. My grandson age 6 actually loves to come in and change one doll's outfit. He loves the little hangers with the different clothes that hang in this amazing art piece. Your story brought my friend Eleanor back to me. They are amazing and such love goes into each one. Dominique, these are fabulous, what a great find! The artistry is amazing! I have a Giveaway from the French Basketeer I think you will love! 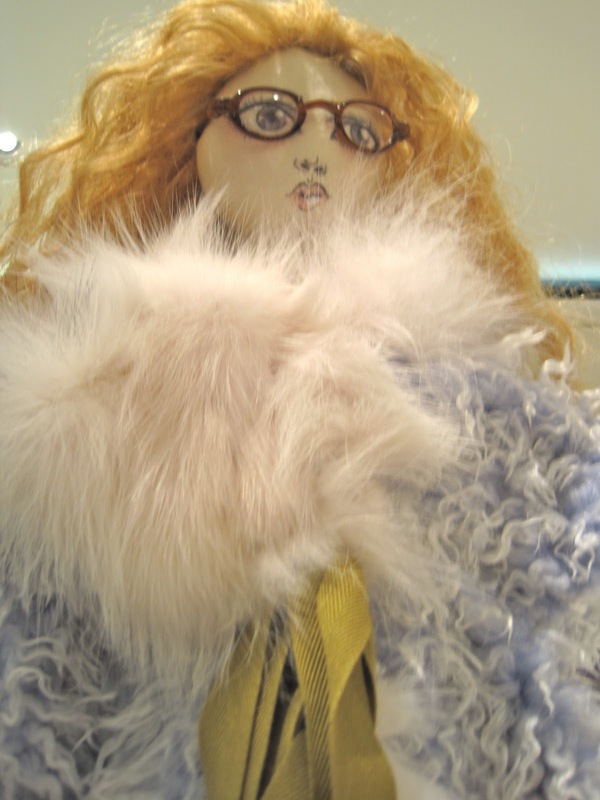 You would have loved the dolls I was fortunate to see at the Golden Age of Couture show this summer. They were part of the Theatre de la Mode, which was created by couturiers in Paris during the latter years of WWII. Exquisite, tiny dolls dressed in achingly perfect, although diminutive, examples of couture and designed by Christian Bernard and Jean Cocteau, among others. I stood before their cases, totally captivated. Sadly, these were not dolls to play with, methinks. I wonder if anyone plays with them. How sad, if not. They are amazing. I do think that there are stories behind these babes. I, too played with dolls under the dining room table which was especially tented for days on end to accommodate my fantasies. Thanks for reminding me. 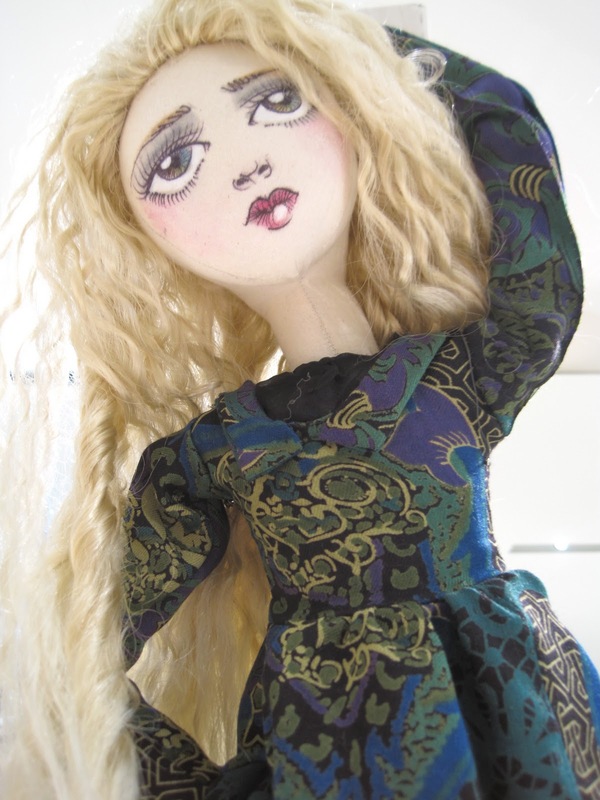 How great that you see as many of us do - Dolls as an Art Form-! I find the handmade and older ones that have been passed down through the generations - even more endearing. Harry N. Abrams Inc. N.Y. 1973. I have always loved dolls. I had a doll similar to this that I sat on the floor propped on books under the library table. My daughter is even more obsessed that I was, and each occasion she received a collectors doll. Thanks for sharing this. It made my day! I'm the only one who finds them slightly creepy, I'm afraid. Love your piece in Garden & Gun! I loved my dolls as a child and I recall being saddened when older children laughed at me as I was still playing with a doll at age 12, I used knit outfits for her and loved putting her in new fashions. 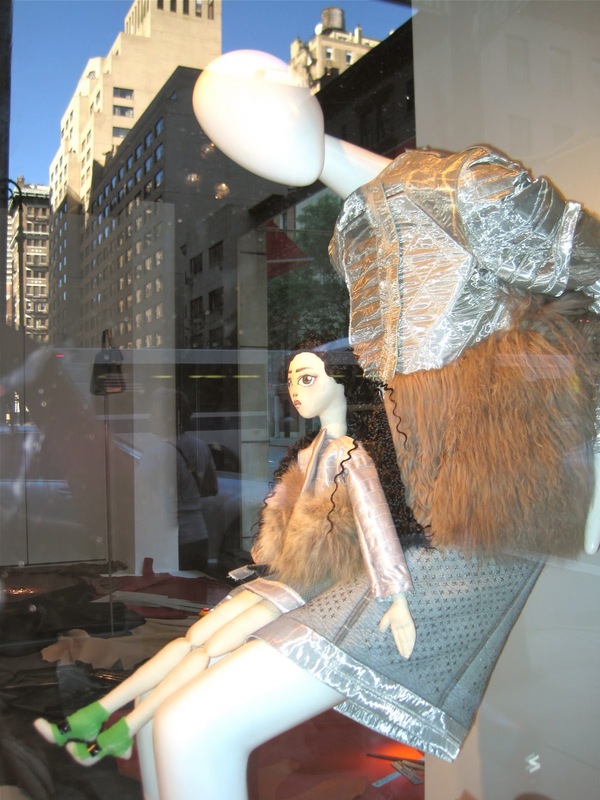 I totally relate to the dolls you saw in NYC. Sadly stuffed animals never held the same charm for me as my dolls did.